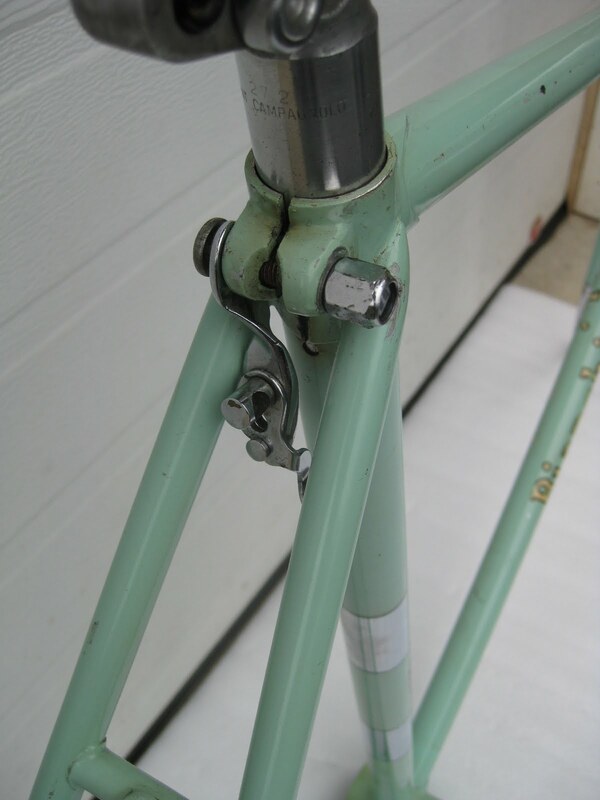 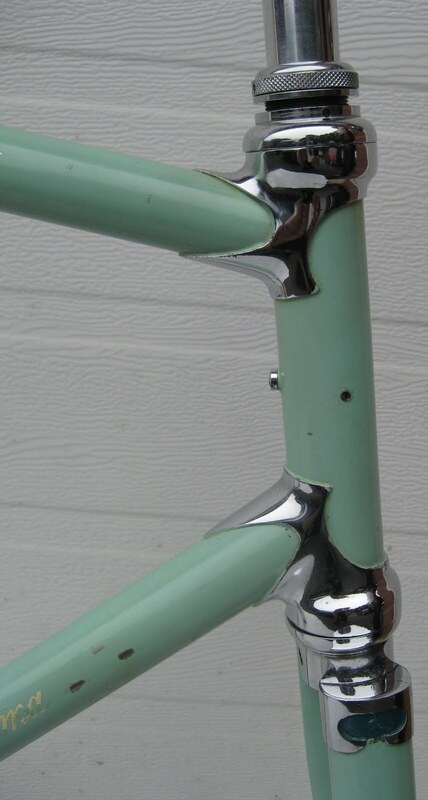 Here is a unrestored 1960 Bianchi Specialissima frameset. 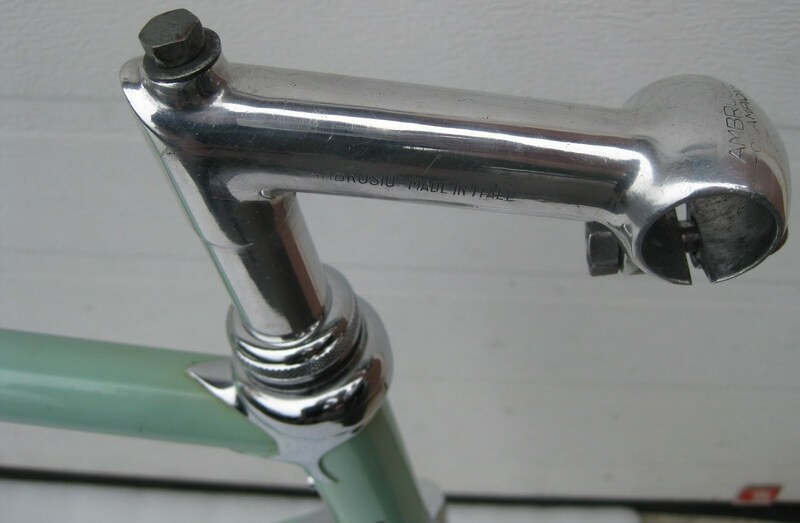 This is an excellent example of Bianchi at a high point, Celeste paint, chome lugs and fork crown, and proprietary headset. 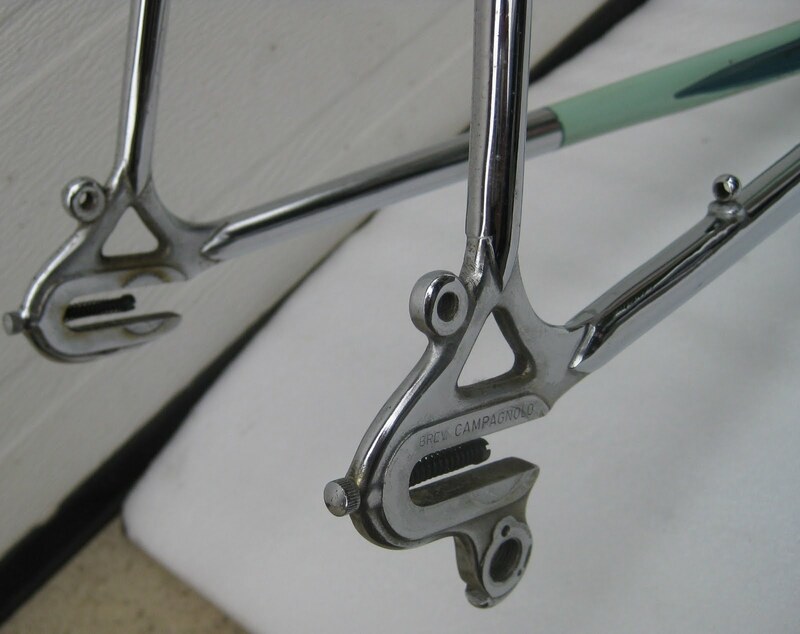 The bike was set up with early Campagnolo cranks with raised pedal hole, Universal 61 brakes, Ambrosio stem, Campagnolo drivetrain, and seatpost. 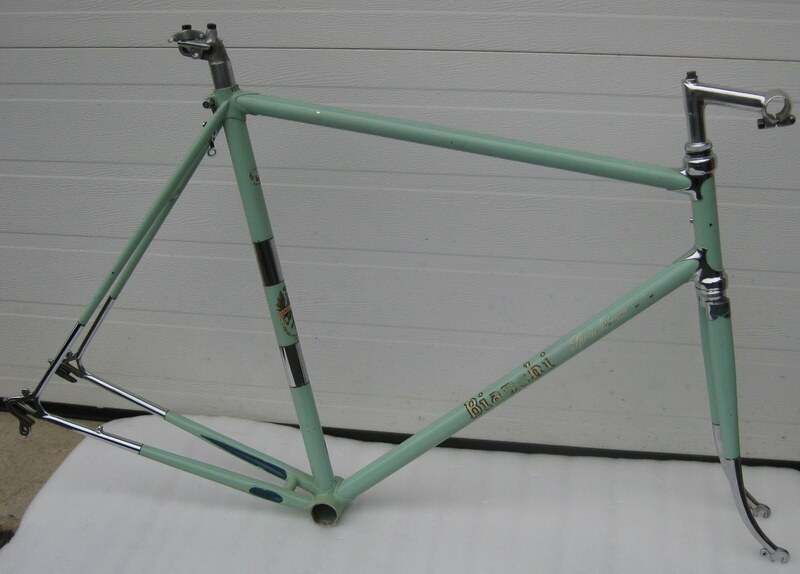 Some more info on Bianchi here- Classic Rendezvous site.